Kinokuniya is having another 20% sale from 9-24 December for their cardmembers! 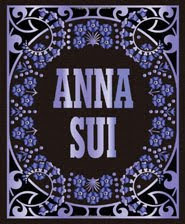 For Anna Sui fans, do also check out this new book which is a retrospective on the designer's career. There are also two Anna Sui Journals available. See more details on Kino's website. There is usually only a 10% discount on stationery items during such sales at Kino.